A LETTER penned by the Papua New Guinea and Solomon Island’s Bishops Conference general secretary Fr Giorgio Licini has called for the closure of Manus Island detention centre. The letter comes as the Victorian Premier’s Literary Award was awarded to Manus Island refugee Behrouz Boochani. Mr Boochani’s novel, No Friend But the Mountains: Writing from Manus Prison, won Australia’s most valuable literary award valued at $100,000. Mr Boochani is a Kurdish-Iranian journalist and remains on Manus Island where he has been denied entry into Australia since his detention began in 2013. In a recorded video message, Mr Boochani said he always believed in words and literature. “I believe that literature has the potential to make change and challenge structures of power,” he said. The judges’ report from the Wheeler Centre said Mr Boochani produced a stunning work of art and critical theory, which evades simple description. Fr Licini’s letter was sent to PNG Prime Minister Peter O’Neill, detailing his experience on the island Mr Boochani resides on. “It is with heavy heart and an intense sense of sadness that I report to you on my recent visits to Lorengau town in Manus Island and to the Pacific International Hospital in Port Moresby,” Fr Licini wrote. “At the two locations, I had the heartbreaking experience of making contact with an appalling level of desperation in which refugees and asylum seekers live. “I am not referring to the logistic conditions in which the men are kept, which appear to be decent with security, cleanliness, and respect by national and expatriate personnel. Fr Licini called on the prime minister to take a look for himself at the PIH’s intensive care unit. “You will meet about twenty refugees and asylum seekers in a deplorable state of mental health compounded with other ailments affecting their cardiac and respiratory system, kidney failure, fractured bones, etc,” he wrote. 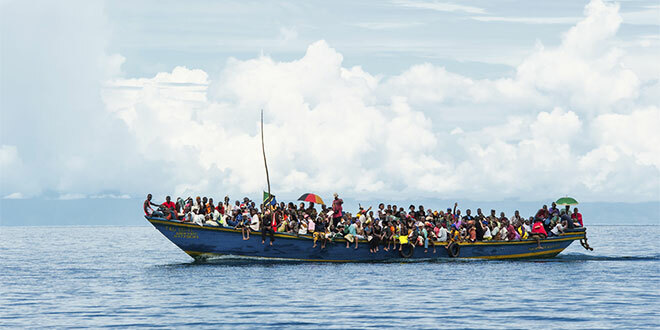 Fr Licini appealed to the PNG prime minister to give a deadline to the authorities in Canberra for the removal of all refugees and asylum seekers from the country.